The Orange County Department of Education (OCDE) is a public education organization offering support services to 27 school districts and more than 600 schools and 20,000 educators serving over 500,000 students in Orange County. OCDE’s personnel offer support, professional development, and student programs through its divisions and departments: Administrative Services, Alternative Education, Business Services, Career and Technical Education, Information Technology, Instructional Services, Legal Services, Community and Student Support Services, and Special Education. Our vision is that "Orange County students will lead the nation in college and career readiness and success." We play a supportive role in the fulfillment of this vision in collaboration with educators at all levels of student development, from early childhood through higher education, and in partnership with families, businesses, and community organizations. We believe that to lead the nation in college and career readiness and success is a high ambition, but within the reach of Orange County students. The following school districts are confirmed to attend: Anaheim Union High School District, Lowell Joint School District, Ocean View School District, Placentia-Yorba Linda School District, Westminster School District, and the Orange County Department of Education. TIPS: Here are some tips to help you prepare to be successful at the Career Fair! 1. Bring multiple copies of your resume to submit to employers. 2. Come prepared. 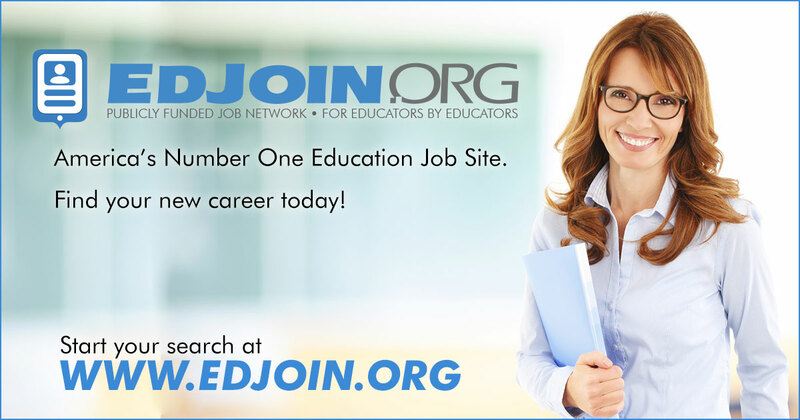 Before the fair, you can review the participating School Districts' job opportunities by visiting Edjoin or visiting each School District's website. Ask very focused and specific questions; this impresses representatives because it shows a genuine interest in them. 3. Dress for Success! First impressions are important. 4. Get your bearings. When you arrive, take a few minutes to review the map for the fair. 5. Introduce yourself and be prepared to give your "career pitch." Extend your hand, say "Hello" and state your name. Have your resume ready to provide as well. 6. Give a Memorable Goodbye. You want the person you're speaking with to know you're interested in his/her organization. Ask relevant questions and make sure to thank the person you're speaking with for his/her time. Most importantly, request a business card. 7. Be courteous. Demonstrate sensitivity to other applicants waiting to speak with employers by keeping your questions brief. Let your positive attitude show!